Today I take advantage of the fact that I happen to live near one of the Great Lakes of the world, Lake Erie. 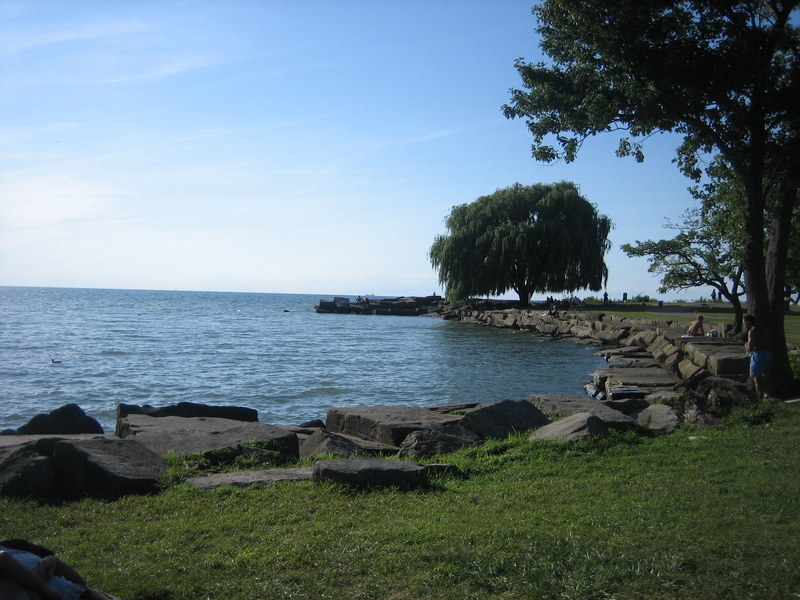 This lake takes its name from the Erie tribe of our Native Americans, a shortened form of the Iroquoian (erie/honan meaning long tail). 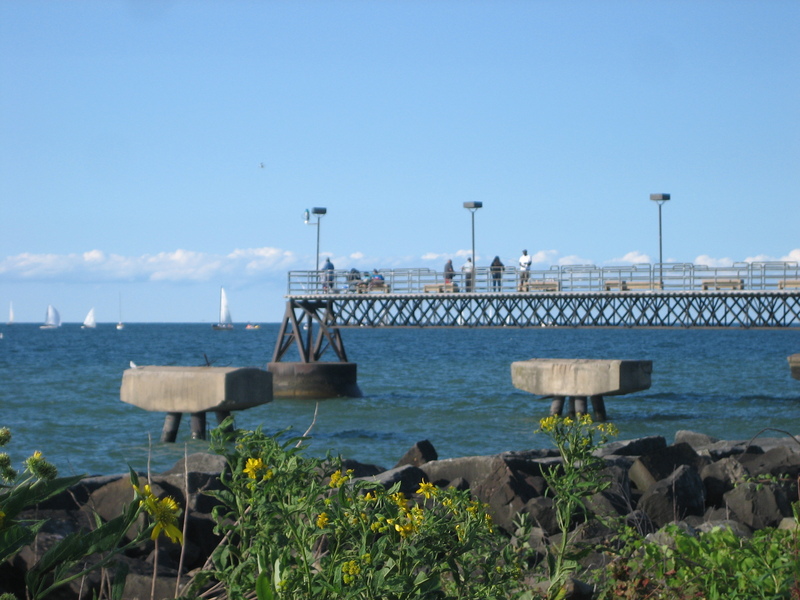 The five Great Lakes – Erie, Huron, Michigan, Ontario and Superior, are interconnected fresh water lakes located on the Canada-United States border. They form the largest group of freshwater lakes on Earth containing 21% of the world’s surface fresh water by volume. 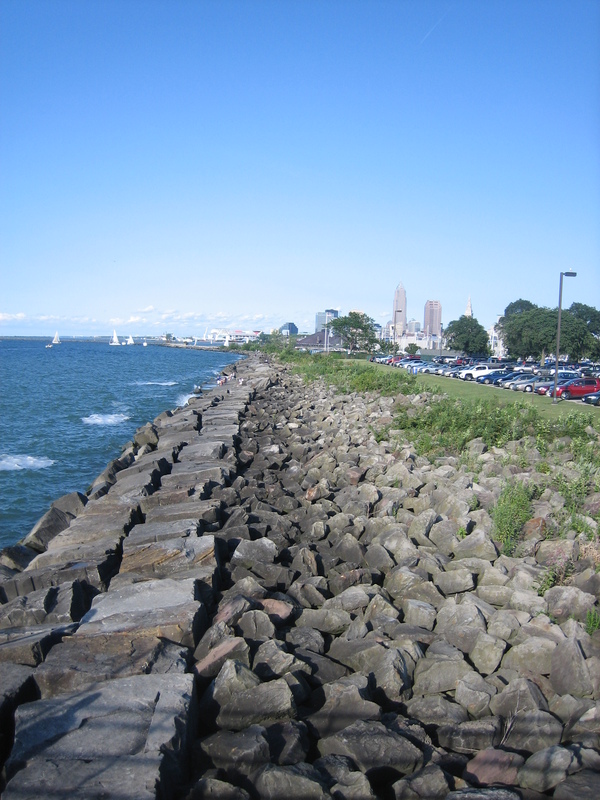 Due to their sea-like characteristics (rolling waves, sustained winds, strong currents, great depths and distant horizons) these five Great Lakes have long been referred to as inland seas. 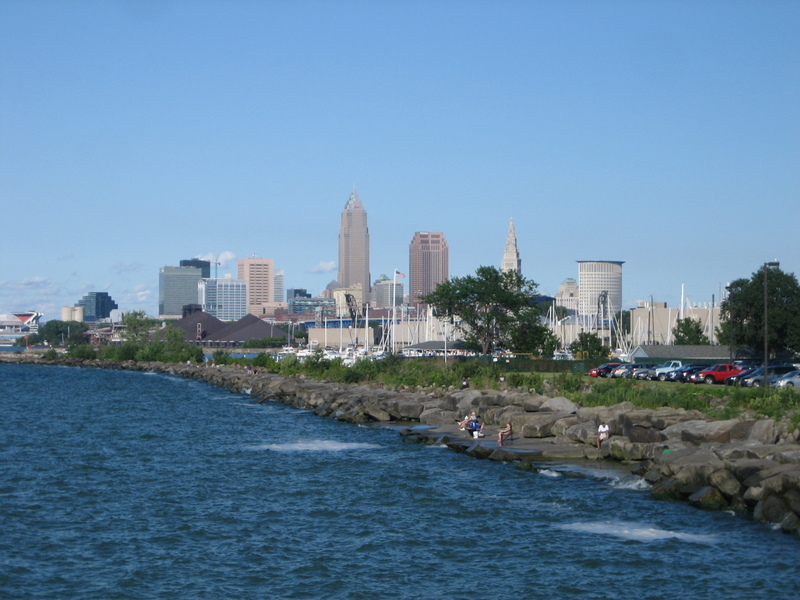 We in Cleveland proudly say we live on the North Coast. People brag about living near an ocean, but it’s also quite special to live near a Great Lake. 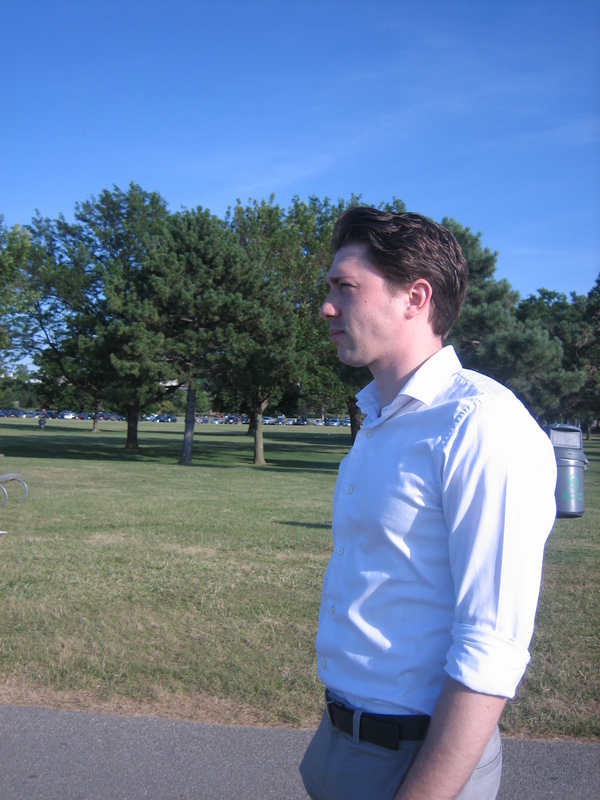 Too many people fail to take advantage of a Great Lakes beauty, but not me. 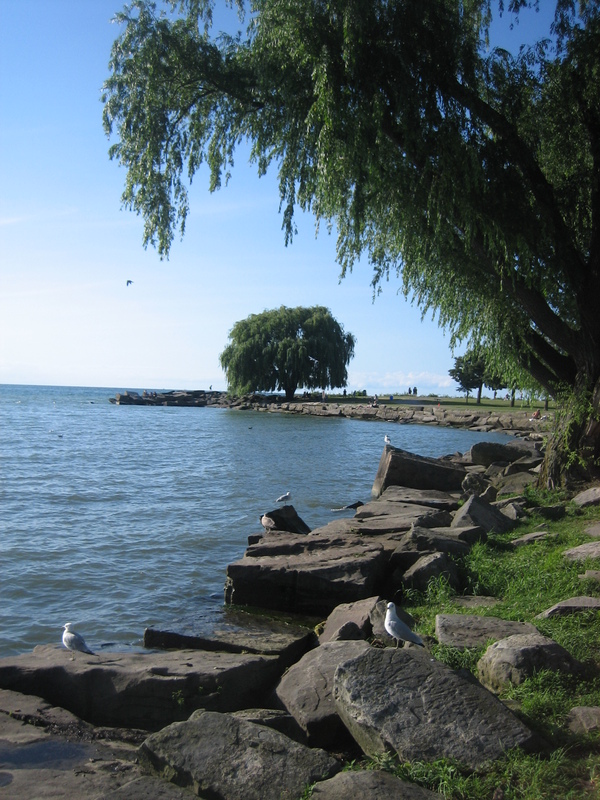 I’m not much of a swimmer or boater, but I love walking along the water’s edge and enjoying the beauty of the lake. I find the time I spend carried away with nature’s beauty helps me subtract years from my age. Nature’s beauty has magical powers for when we take that beauty in we feel its glow in our soul. 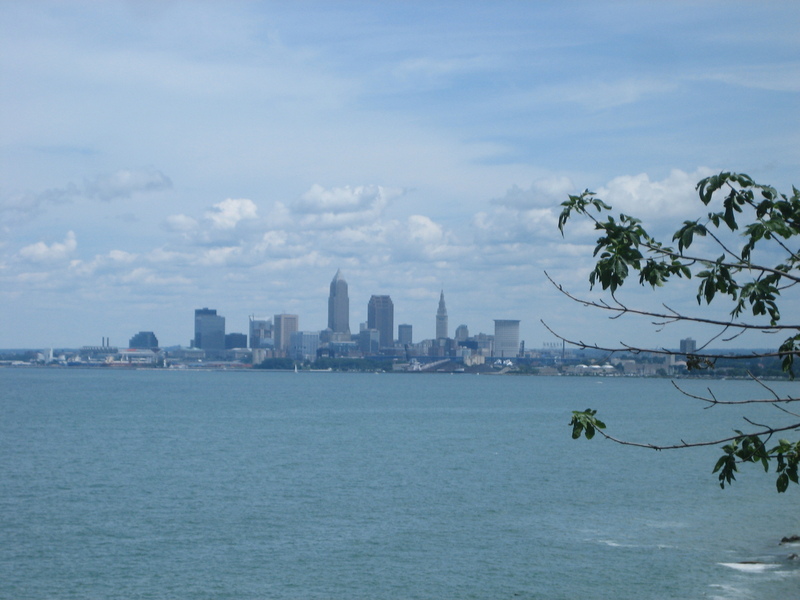 Here at Edgewater Park I’m only a mile or two from busy downtown Cleveland but on this and every Country Inn Day I step away from life in the modern world and give myself permission to live somewhere between heaven and earth – to “just be”. I could be home cleaning or “doing” any number of useful things and I will get to those things, but on Country Inn Days it’s more about being than doing. Sure, we need to “do”, but not every day. If we don’t give ourselves permission to step out of our routines who will? Nobody will and we’ll miss so much. Sam Horn, author 0f CoZentraten, writes, “the contentment we seek is available anytime, anywhere… for a moment’s notice. And age becomes immaterial when you’re immersed in appreciation.” We can experience such beneficial appreciation in all sorts of ways – strolling through art galleries, working in the garden, creating a delicious meal, playing the piano – so many ways, but observing nature is there at the top of my list. I usually enjoy Country Inn Days alone so that I’m free to come and go just as I please. If I take anyone along with me it’s usually a “dead friend”, a person of the past who I commune with through their letters, journals or biographies. These “dead friends” are great company at lunch, telling me interesting stories from lives past. “Dead friends” make no demands. “Dead friends” are like that, they’re great! I hope you have some “dead friends” of your own too. 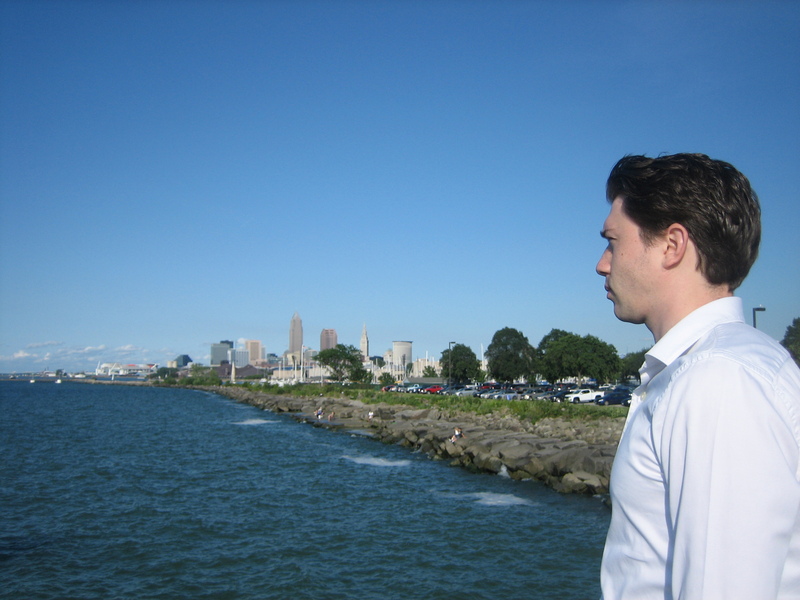 But since my son Rory happens to live steps away from Lake Erie, owning a condo in Cleveland’s warehouse district, I invited him to join me here at the lake. Rory has always appreciated nature for he’s a former boy scout who still goes off hiking and camping with friends, but it’s good to have a little mother/son time in nature too and what better time and place to have it than right here at Lake Erie with me on this Country Inn Day..
Rory and I stroll along the break wall watching the sail boats in the distance. We chat. What a lovely Country Inn Day I’m having. Simple pleasures like these are the best! And after a nice time here at the lake, Rory and I stroll back to our car talking about how even simple pleasures don’t just happen. They have to be planned. First, one must discover what sort of life they’ve imagined for themselves. Then, as Henry David Thoreau used to say, “If you’ve built castles in the air, fine, just create the foundations under them.” I do this by scheduling a Country Inn Day each and every week. And one regular activity of each Inn day is to review the rest of my days being sure they are addressing the life I’ve imagined for myself. We only have one life after all. If we don’t take charge of it who will? Before I return to Hudson Rory and I decide to have a bite to eat. Rory is good company, he’s even more fun for me than being with one of my “dead friends” and I love my “dead friends” dearly. But a good mother always enjoys being with her children, in my case with her handsome sons. 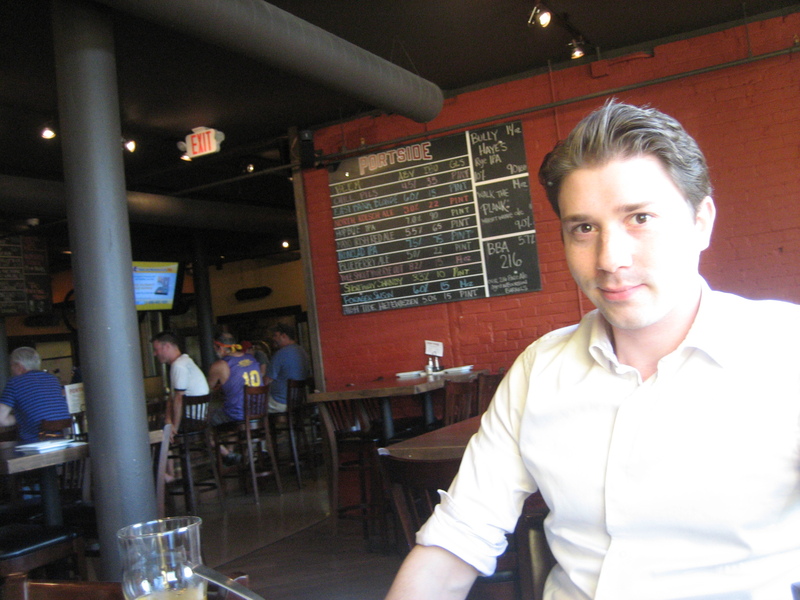 This restaurant/bar is around the corner from Rory’s condo, not my kind of place – no white tablecloths, but I’m always happy to be with my sons, stepping into their worlds whatever those worlds may be. Mother/son time doesn’t happen nearly often enough, but it happened for me today. Well, a very satisfying Country Inn Nature Day it was, but then all Country Inn Days are most satisfying. I drive away from Lake Erie (you see it in the distance) with renewed contentment. I hope you’re enjoying the nature in your backyard too. So often those things closest to home are taken for granted, but not by me. Let’s hope not by you either. Leave me a comment and tell me what you’ve been enjoying in your backyard lately. I am now at the library and on the computer, licking my wounds, as my St. Louis Cardinals were just eliminated from this year’s baseball playoffs within the past hour. (I guess, in a way, that my Cardinals are now my “dead friends” for the rest of this year, Carol.) It was nice to read about your day on Lake Erie and spending such great quality time with Rory. It’s good to know there’s some very nice things about your Great Lakes as, when I think about them. I just think about those legendary “lake effect snows” that I hear can get quite deep to shovel out. Keep doing what you’re doing, Carol Ann. Sorry to hear about your Cardinals. I guess now your beloved team really could qualify as “dead friends” since they got the life knocked out of them. Too bad. 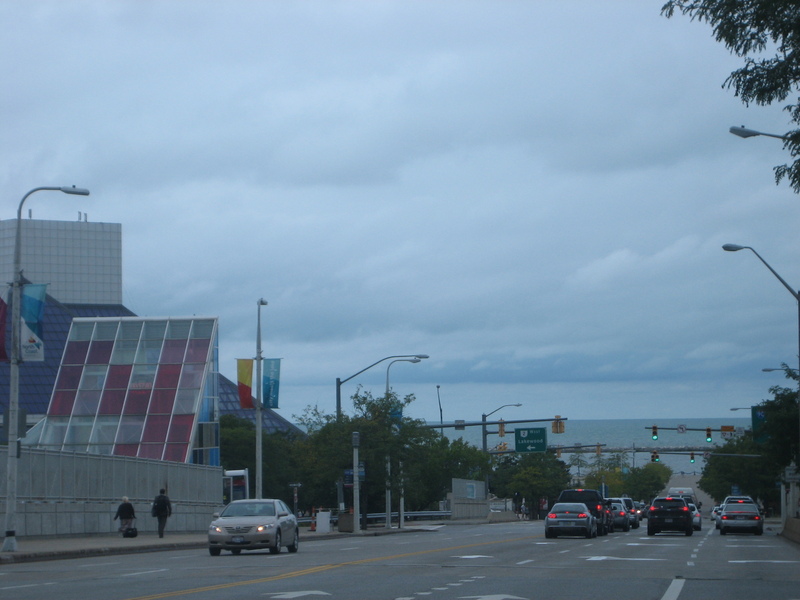 And it’s true Lake Erie does give Clevelanders all sorts of lake effects – snows and lots of cloud cover, but I still love it. Focus on the positive, right? And thanks for your positive comment. Always good to hear from you. Always enjoy going along with you on your outings. Enjoyed time with Rory too! I really did feel like I was walking along with you! And I’m always so happy you come along with me. Sharing truly doubles my joy.